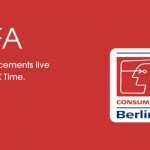 Xperia Z1 L39t which was recently spotted on Chins’a TENNA where it’s network license passed showing it supports TD-LTE/TD-SCDMA/GSM formats, OS – Android and support for LTE FDD / WCDMA network capacity and Hong Kong, Macao and Taiwan in the international roaming is now official and is not Xperia Z1S instead it is LTE version of Xperia Z1 in China. 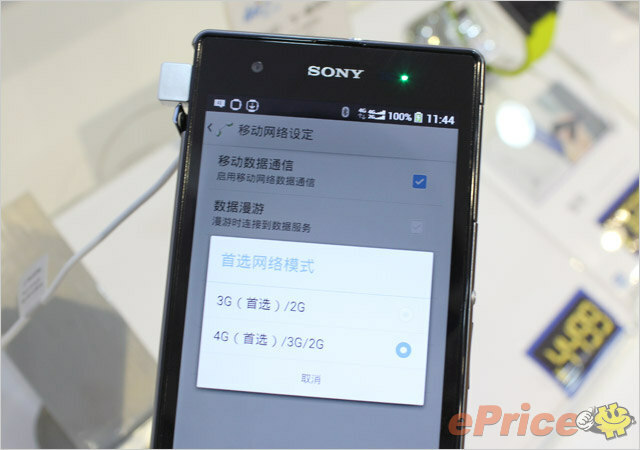 Sony has officially released Xperia Z1 L39t LTE on China Mobile 4G carrier, bringing the LTE version of Xperia Z1 in China, already available HSPA+ L39h version. 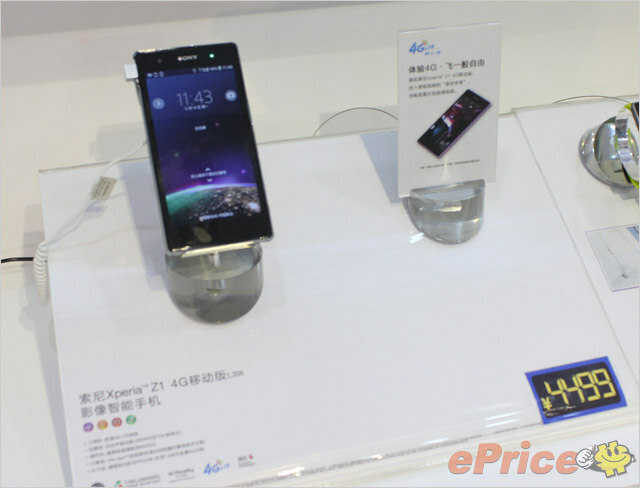 Xperia Z1 L39t LTE will be available in markets at the end of December, beings priced at 4499 Yuan / $740. 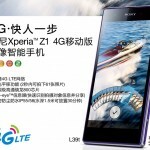 Only two colors variants Black and Purple will be available for Xperia Z1 L39t LTE on China Mobile 4G carrier. 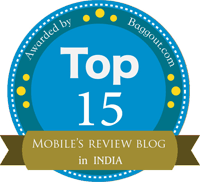 Let’s see what Xperia Z1 L39t LTE brought for users. 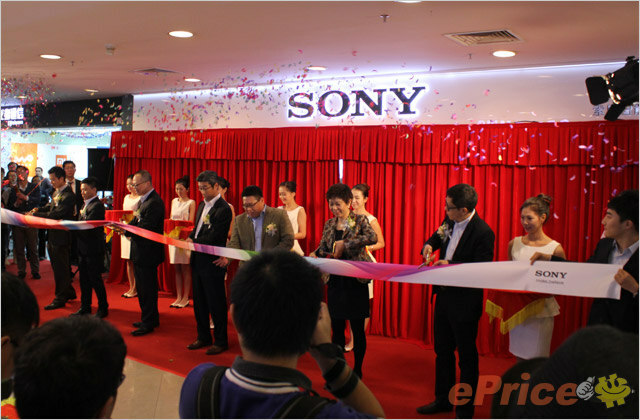 Xperia Z1 L39t LTE opening ceremony in Guangzhou, South China. 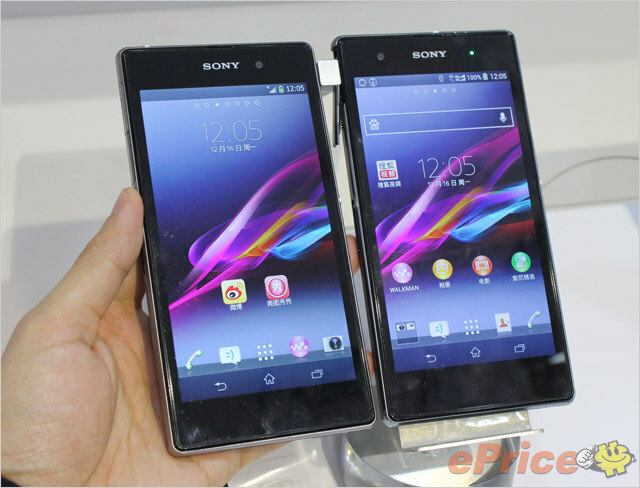 Xperia Z1 L39t LTE weighs 163 grams and 145.7 x 73.9 x 8.55 mm is dimensions as compared to Xperia Z1 ( C690c/C6903/L39h ) which weighs 170 grams and 144 x 74 x 8.5 mm. 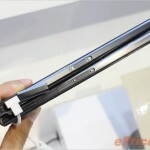 So weight and dimensions have been changed and border of phone replaced by electroplating plastic material. 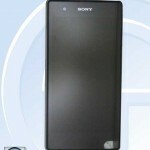 Xperia Z1 L39t LTE sports no “Sony” logo on the back while “Xperia” logo comes in center of back panel and “China Mobile 4G” logo at the bottom center of back panel. Front Camera is now located on left side while proximity sensor is switched on right side besides a front notification light, exactly like what Xperia Z sports. Clearly look at the pic below comparing both 3G and 4G models of Xperia Z1 showing the difference in location of camera sensors and notification light. 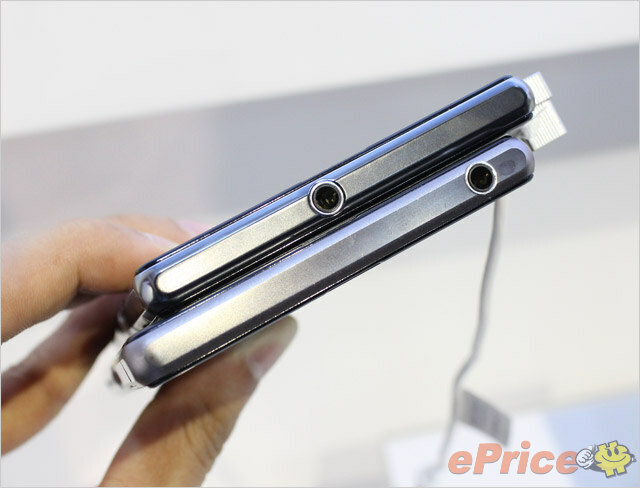 Position of secondary microphone from back has been shifted from top to a hole in Xperia Z1 L39t LTE exactly like Xperia Z has. 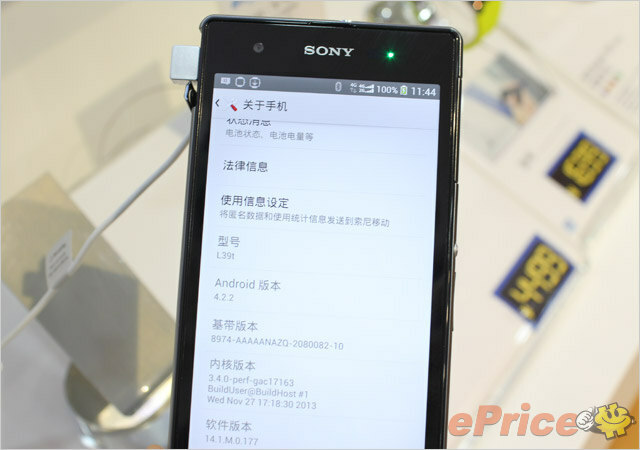 3.5 mm headphone jack location is also shifted to somewhat center in Xperia Z1 L39t LTE. 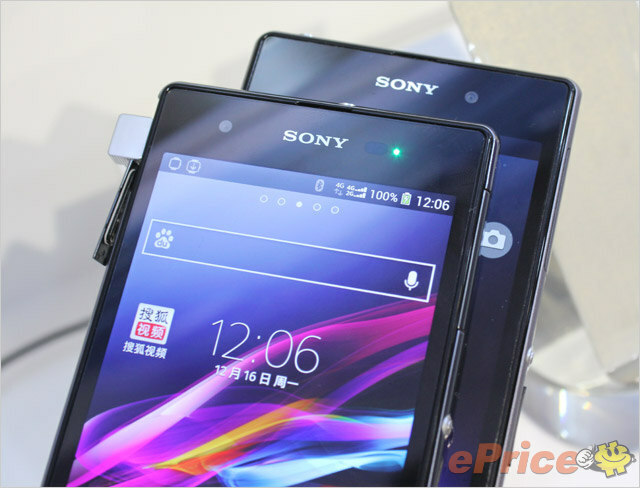 No changes have been made to side profile of Xperia Z1 L39t LTE as when compared to Xperia Z1 L39h. 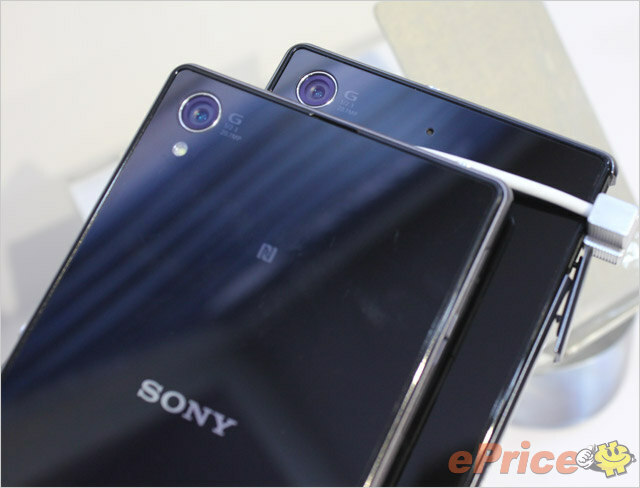 As far as technical specifications are concerned for Xperia Z1 L39t LTE, they are similar as Xperia Z1 L39t. 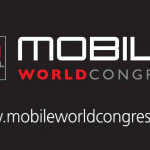 Same TFT panel, TRILUMINOS Display 5″ FULL HD, X-Reality for Mobile, Snapdragon 800 SoC, Adreno 330 GPU, 21 MP cam. 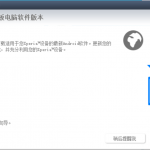 Android 4.2.2 14.1.M.0.177 firmware running on Xperia Z1 L39t LTE, though today we saw Sony rolling officially Android 4.3 14.2.A.0.290 firmware update on Xperia Z1 and Z Ultra. In network options, there are two modes available to choose from. 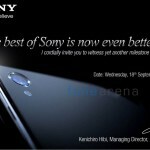 It’s good that Sony has released Xperia Z1 L39t LTE version in China as users are now complaining in Asian countries that Sony should also 4G LTE powered handsets here without carriers. 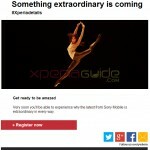 It is very much speculated now that we may see international version of Xperia Z1 L39t as Xperia Z1S at CES 2014 where Sony will hold its press conference on 6 Jan 2014. Does this one still suffer from the overheating “Warp” I find all over the web? 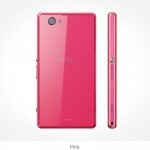 I just bought my Xperia Z1s…? 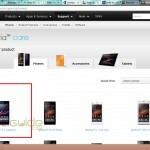 from T-Mobile in USA but it has the make of this Chinese model shown here.